An amateur cryptographer has beaten Colossus in a code-cracking challenge set up to mark the end of a project to rebuild the pioneering computer. 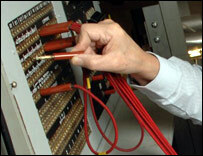 The competition saw Colossus return to code-cracking duties for the first time in more than 60 years. The team using Colossus managed to decipher the message just after lunch on 16 November. But before that effort began Bonn-based amateur Joachim Schuth revealed he had managed to read the message. 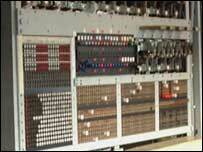 "He has written a suite of software specifically for the challenge," said Andy Clark, one of the founders of the Trust for the National Museum of Computing at Bletchley Park where Colossus is sited. News of Mr Schuth's success reached Bletchley Park on Thursday night, said Mr Clark. The target messages, enciphered with a Lorenz S42 machine as used by the German high command, were transmitted by a team of radio enthusiasts in Paderborn, Germany. However, radio reception problems throughout the day on Thursday meant that the British code-cracking team did not get a full copy of the enciphered message until after 1700 GMT. "For that all credit must go to Milton Keynes Amateur Radio Society," said Mr Clark. "They worked tirelessly yesterday." A copy of the ciphertext in the messages was loaded onto the re-built Colossus at 0855 GMT on Friday morning, said Mr Clark. At 1315 GMT on Friday Colossus managed to work out the message, he said - though there was a slight delay as two valves blew just as the final run was being carried out. "We've got all the wheel settings," said a delighted Mr Clark, adding that there was spontaneous applause when the announcement of success was made. At the same time as Colossus cranked through the messages a separate team used a virtual Colossus on a laptop to read the scrambled messages. That too beat Colossus and deciphered the message mid-morning on Friday. The ciphertext from the messages will also be placed on the museum's website so amateur code-crackers who do not have access to radio can have a go at breaking the signals. Colossus is widely recognised as being one of the first recognisably modern computers in that it could be programmed. It was the size of a small lorry and used more than 2,000 valves. Tony Sale led the 14-year Colossus re-build project and it took so long because all 10 Colossus machines were broken up after the war in a bid to keep their workings secret. When he started the re-build all Mr Sale had to work with were a few photographs of the machine. In its heyday Colossus could break messages in a matter of hours and, said Mr Sale, proved its worth time and time again by revealing the details of Germany's battle plans. "It was extremely important in the build up to D-Day," said Mr Sale. "It revealed troop movements, the state of supplies, state of ammunition, numbers of dead soldiers - vitally important information for the whole of the second part of the war." This, and the other information revealed by the code-cracking effort at Bletchley, helped to shorten the war by at least 18 months, said Mr Sale. Colossus has a place in the history of computing not just because of the techniques used in its construction. Many of those that helped build it, in particular Tommy Flowers, went on to do work that directly led to the computers in use today. The museum said it needed to raise about £6m to safeguard the future of the historic computers it has collected.